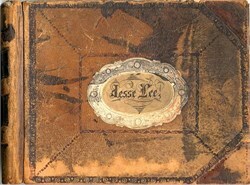 Historic manuscript ledger from Jesse Lee dated from 1853 to 1876. 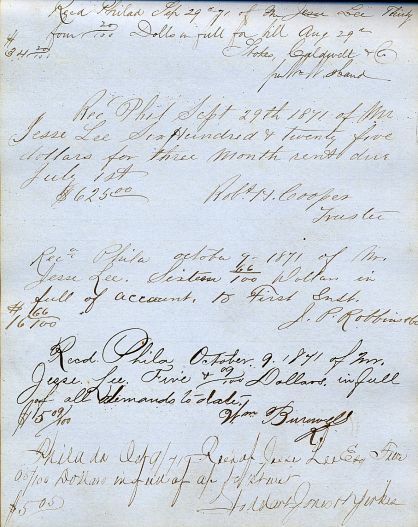 This ledger has the signatures of many individuals who signed the receipt book when Jesse Lee made a payment. 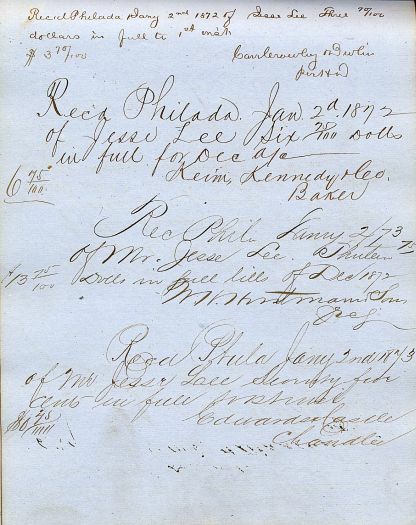 It appears Jesse Lee was an attorney in Philadelphia who required written receipts when he made a payment. 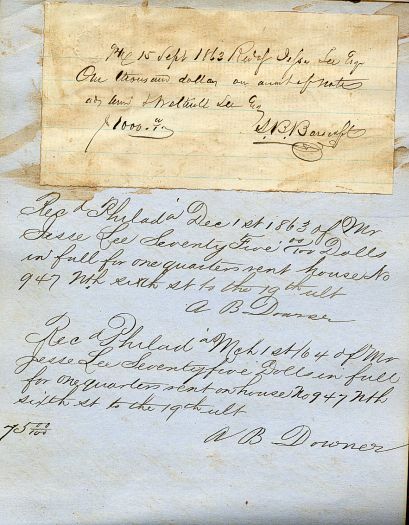 We have not researched the signatures. 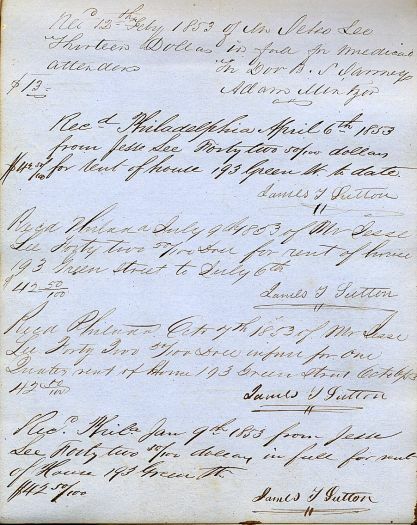 This book has appriximately 200 written pages with, on average, 3 to 4 entries per page. XF Condition.